A comprehensive guide for reducing the cost of your custom metal and plastic CNC machined parts. Learn how to optimize your design and choose the right material to keep your project on budget. We first examine what drives costs in CNC machining. Next, we present a comprehensive list of actionable guidelines that are proven to reduce the cost of your CNC machined parts. 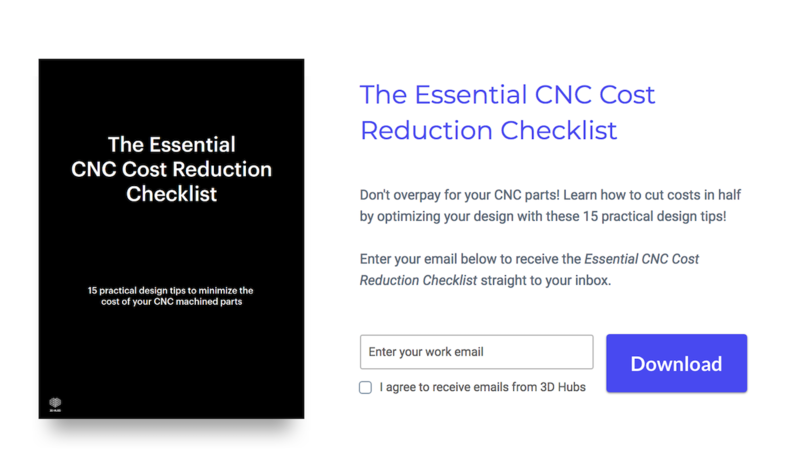 Essential Bonus: Download the free PDF checklist with 2 bonus tips that will show you how to optimize your design to cut CNC machining costs in half! Material cost: The cost of the bulk material and the ease with which that material can be machined greatly affects the overall cost in CNC. Optimizing your design while having certain material considerations in mind, can greatly reduce the price. 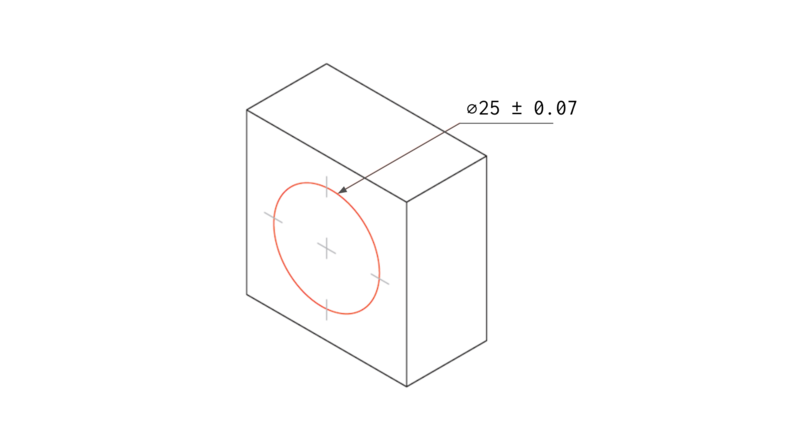 Corner radius can be reduced by using a tool with a smaller diameter. This means that multiple passes at a lower speed will be required - a smaller tool cannot remove material in one pass as fast as a larger tool - increasing the machining time and cost. Add a radius of at least 1/3 of the depth of the cavity (the larger the better). Preferably, use the same radius in all internal edges. On the floor of the cavity, specify a small radius (.5 or 1 mm) or no radius at all. 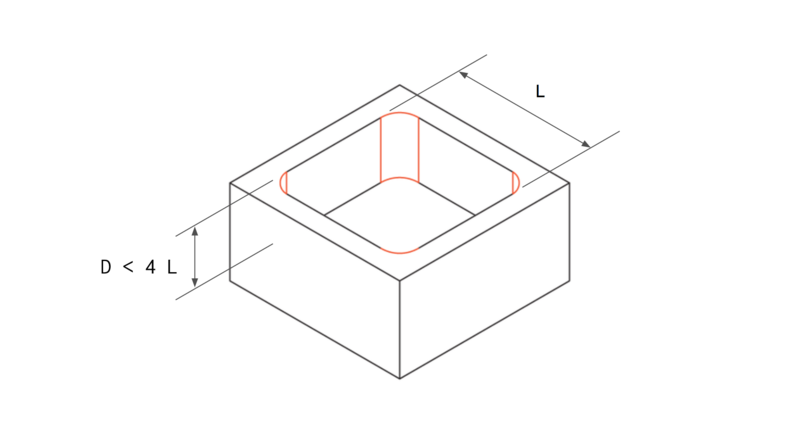 Pro Tip #1: Ideally, the corner radius should be slightly larger than the radius of the tool that will be used to machine the cavity. This reduces the loads on the tool and will further reduce your manufacturing costs. For example, if your design has 12 mm deep cavity, add a 5 mm (or larger) radius at the corners. This will allow a ø8 mm tool (that is a 4 mm radius) to cut them at a faster speed. Also, when cutting a cavity, the tool has to ramp into the correct cutting depth. Smooth entrance requires sufficient space. Limit the depth of all cavities to 4 times their length (i.e. largest dimension on the XY plane). For metal parts, design walls thicker than 0.8 mm (the thicker the better). For plastic parts, keep the minimum wall thickness above 1.5 mm. 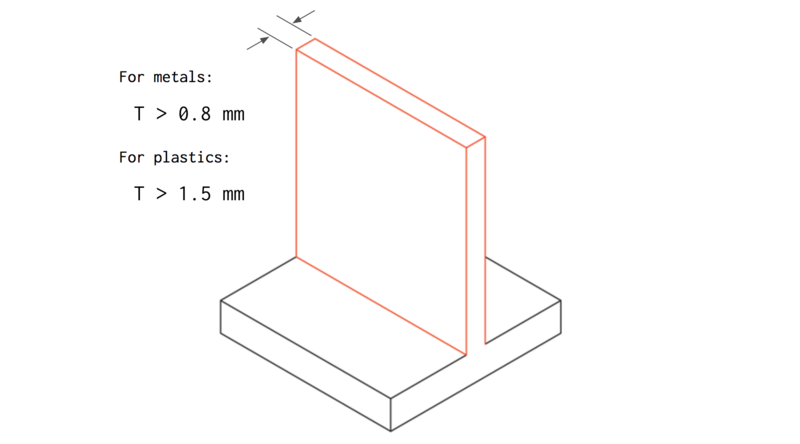 Remember: The minimum achievable wall thickness for metals is 0.5 mm and for plastics 1.0 mm. The machinability of these features must be accessed on a case by case basis though. Pro Tip: Thin walls are commonly encountered when placing hole (and threads) very close to the edge of the part. Make sure that you follow the above guidelines also when you position holes in your design. Keep in mind that threads longer than 0.5 times the diameter of the hole do not actually add to the strength of the connection. Design threads with a maximum length of up to 3 times the hole diameter. For threads in blind holes, it is preferable to add at least 1/2 diameter of unthreaded length at the bottom of the hole. Design holes with with diameter that is an increment of 0.1 mm for diameters up to 10 mm and 0.5 mm above that. When designing in inches, use conventional fractions of an inch or refer to this table of fractional-inch drill bit sizes. 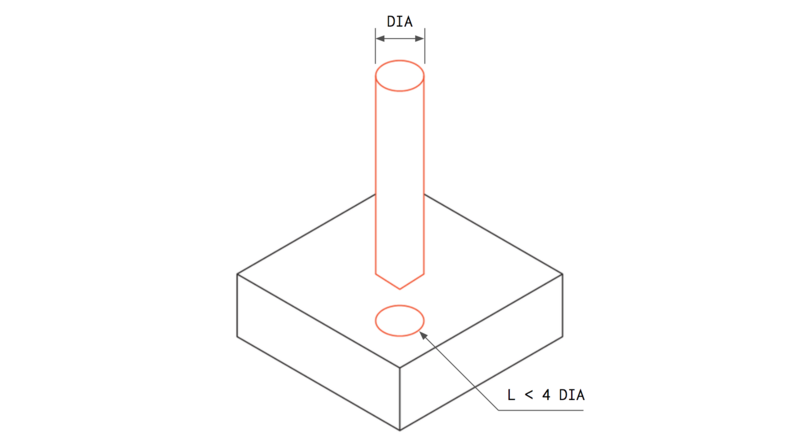 Design holes with length of up to 4 times their diameter. Tight tolerances are especially difficult to achieve on internal features. 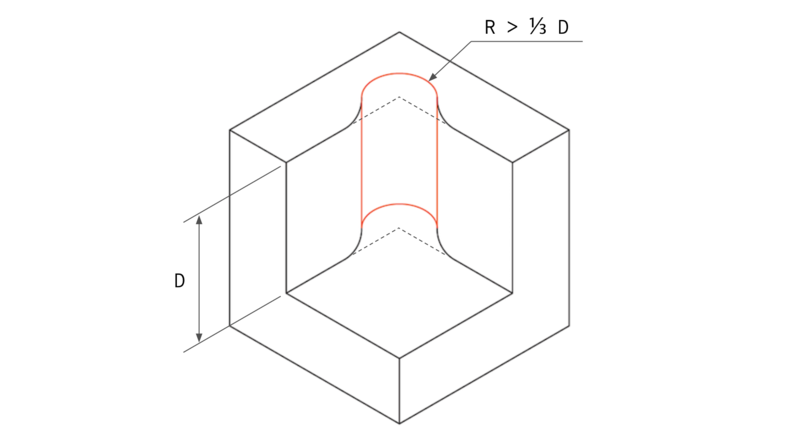 For example, while machining intersecting holes or cavities, small defects may develop at the edges (called the burr), due to the deformation of the material. Parts with such features require inspection and deburring, which are both manual (and time inefficient) processes, increasing the cost. Specify tighter tolerances only when necessary. 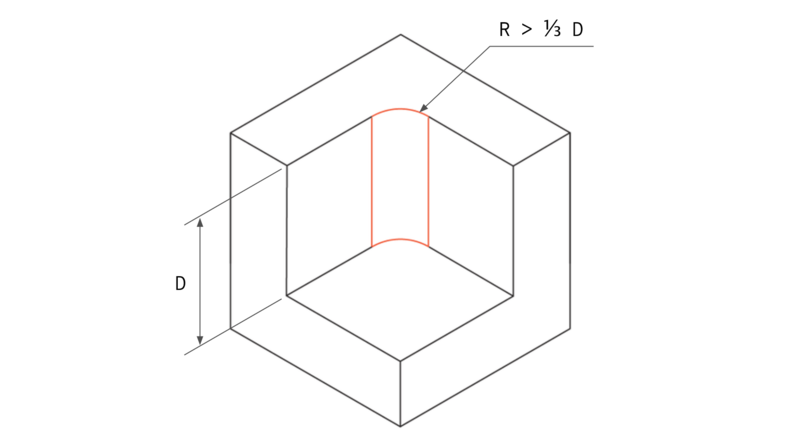 Define a single datum (for example the cross section of two edges) as reference for all dimensions with tolerances. Remember: The decimal points in your dimensions are important. They specify the level of accuracy and the instrument that will be used for the measurements. For example, two decimal points indicate that the machinist can use callipers to take the measurements, while three decimal point indicates that a micrometer or an equivalent CMM tool must be used. 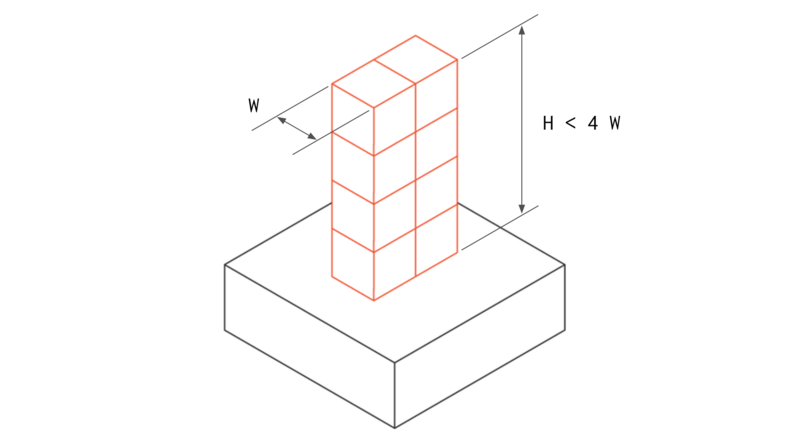 To minimize costs, avoid adding any extra decimal points to your dimensions beyond the necessary. 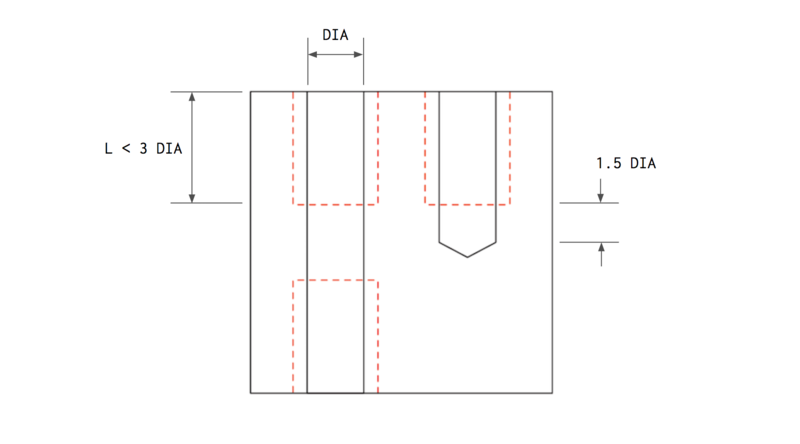 Pro Tip: Using Geometric Dimensioning and Tolerancing (GD&T) in your technical drawings (such as flatness, straightness, circularity and true position) can reduce the cost of CNC machining, as they often define a looser tolerance, but require advanced design knowledge to apply effectively. Design parts that can be machined in only one setup. If this is not possible, separate the geometry into multiple parts that can be assembled later. Small features with high width-to-height aspect ratio are prone to vibrations, and thus particularly difficult to machine accurately. To improve their stiffness, they should either be connected to thicker walls or reinforced with bracing support ribs (preferably four: one on each side). Design features with a width-to-height aspect ratio less than 4. Add bracing support or connect the small features to a wall to improve their stiffness. Adding text on the surface of a CNC machined part can increase the cost significantly, as additional and time-consuming machining steps are required. 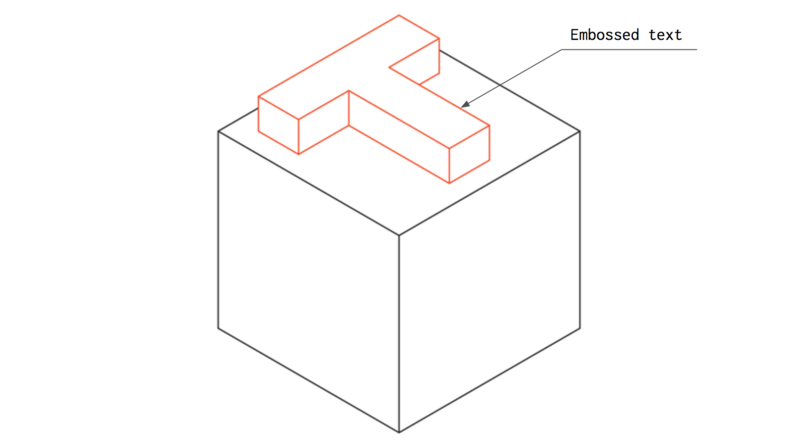 Surface finishing methods, such as silk screening or painting, are a more cost-effective way of adding text on the surface of a CNC machined part. Remove all text and lettering from your CNC machined parts. If text is necessary, prefer engraved over embossed lettering, as they latter requires the removal of a lot more material. Also, prefer using a Sans-Serif font (like Arial or Verdana) with a size of at least 20-points. Machinability refers to the ease with which a material can be cut. The higher the machinability the faster a material can be CNC machined, lowering the cost. The machinability of each material depends on its physical properties. Typically, the softer (and more ductile) a metal alloy, the easier it is to machine. Brass C360 is the metal with the highest machinability, allowing for high-speed machining. Aluminum alloys (like Al 6061 and Al 7075) can also be machined very easily. Steels have 10 times lower machinability than aluminum and will take at least 2 times more to machine. Note that different steel grades have different machinability. For example, Stainless Steel 304 (the most common Stainless Steel alloy) has a machinability index of 45%, while Stainless Steel 303 (an alloy with very similar chemical composition) has an index of 78%, making it easier to machine. The machinability of plastics mainly depends on their stiffness and thermal properties. During CNC machining, plastics are prone to melting and warping. POM (Delrin) is the easiest plastic to machine, while ABS comes in close second. PEEK and Nylon are other common engineering plastics that are a bit more difficult to machine. If you need help with selecting a material, we wrote this material selection guide, where we compared the 25 most common materials used in CNC machining. If you have the possibility to choose between materials, prefer the one with better machinability (especially for large volume orders). Aluminum 6061 is clearly the most cost-effective way of creating metal prototypes as it combines low cost and very good machinability. Notice that the metals that offer greater machinability, like Stainless Steel 303 and Brass C360, have a higher cost and, for this reason, are better suited for larger volume production, as the larger material cost will be overshadowed by the much shorter machining times, taking advantage of economies of scale. When it comes to plastics, ABS, Nylon, and Acetal (Delrin) are priced approximately the same as Aluminum 6061. They are more difficult to machine though, so expect the price to be higher. PEEK is a very expensive material and should be used only when necessary. 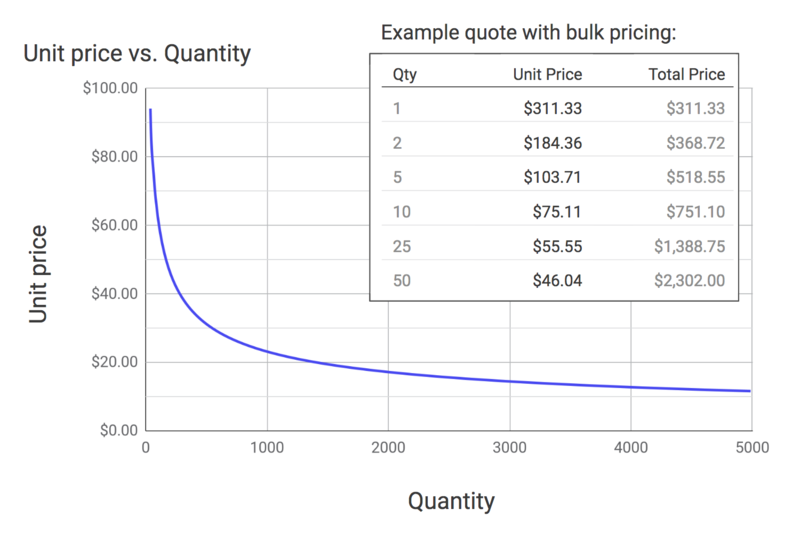 Choose a material with low bulk cost (especially for low-volume orders). Surface finishes improve the appearance and resistance to harsh environments of CNC machined parts, but also increase their cost. Requesting multiple different surfaces finishes on the same part increases the price even further, as extra steps are required (for example, to mask the surfaces). An article that summarizes the benefits of each surface finish for CNC parts can be found here. Choose the as-machined surface finish. Request multiple surface finishes, only when absolutely necessary. The size of the blank (stock material) may affect the overall cost: to ensure good accuracy, some material must be removed from all edges of the part. This can have a significant effect on the material cost (especially for high volume orders). 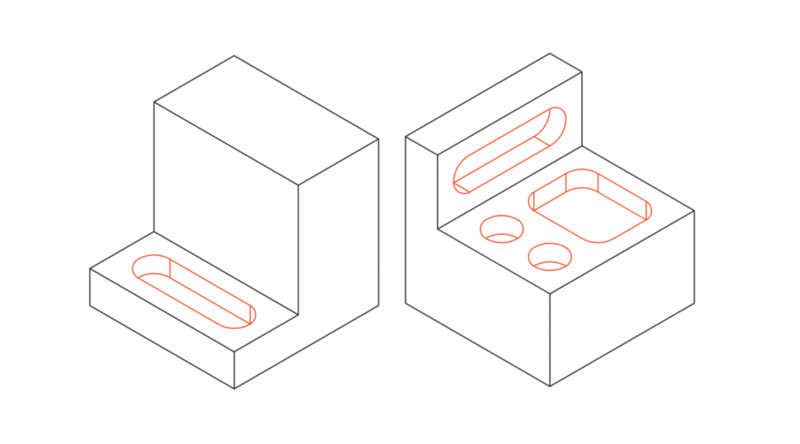 If you design a part that has an envelope of 30 x 30 x 30 mm, then the next larger blank will be used, which in this case will typically be cut from a 35 mm thick sheet. If the part had an envelope of 27 x 27 x 27 mm, then a 30 mm thick sheet could be used saving a lot of material. 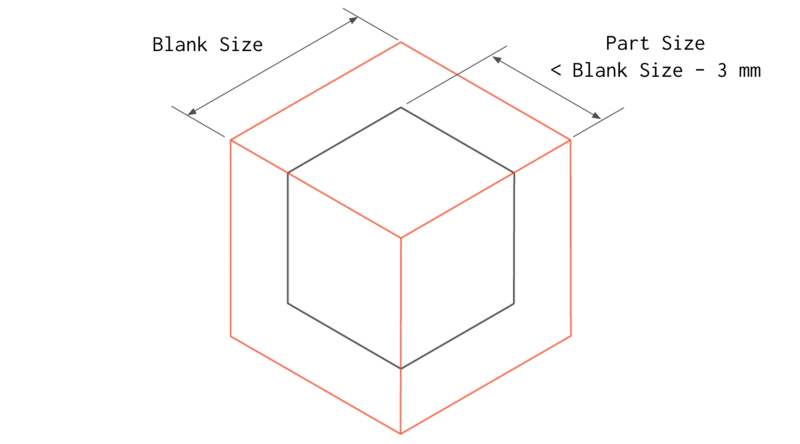 Design parts that have dimension 3 mm smaller than a standard blank size. Refer to common blank size tables or large material supplier catalogs for reference. In CNC machining, the quantity greatly affects the unit price. This is because the startup costs are relatively high and, when quantities are low, they represent a big percentage of the cost. For large quantities though, they get almost eliminated as these costs are spread over many parts. In the graph below, we summarized the average unit price of 12 different parts machined in Stainless Steel 304. The drop in unit price is almost exponential: even a small increase in quantity can decrease the unit price by a lot. Notice that ordering very high volumes (> 100 parts) reduces the unit price by 5 to 10 times. The effect of economies of scale are noticeable also for low volumes. Take advantage of economies of scale by ordering higher quantities or placing a repeat order. Complexity has a high cost in CNC: geometries that require special tooling or fixtures, multiple machine setups or specialty materials will have a higher cost. Is my part optimised using the Designing for Machinability guidelines? Are all features in my model necessary? Can I remove or simplify any of them and still retain full functionality of my part? Can my design be split in multiple parts that are easier to CNC machine and then assembled? Is there a way to modify my design to eliminate the need for multiple machine setups or special tooling? Is there a less expensive or easier to machine material that can fulfill my design requirements? If you found this article useful, take it with you offline! We prepared a free PDF checklist that summarizes all tips presented here (plus two extra tips)! The capabilities of CNC machining are constantly expanding. For example, recent advances in CNC tooling enable modern CNC systems to thread holes throughout their length (reducing the strength of Tip #4). On a similar note, holes of any diameter can be CNC machined, without a significant effect on the price, by using a plunging CNC tool and using profile interpolation (i.e. a helical tool path). In this article we focused on general Designing for Machinability tips that have a universal application, no matter what CNC system is used. Interprete these tips as general good-practices that can help you design parts more efficiently. A complete guide to CNC machining with basic & advanced design practices and tips to help you achieve the best results for your custom metal parts. A complete guide to Injection Molding with basic & advanced design tips, including design guidelines for snap-fits, living hinges, undercuts and surface finishes.